Viezu is the UK approved IPE exhaust retailer, this means we have access to the full range of IPE exhaust systems for all vehicles covered. IPE offer a fabulous range of stainless steel exhaust systems and also stunning titanium exhaust systems too. Viezu offer the IPE exhaust range mail order, with international shipping and tax free sales too subject to the buyers location, But Viezu also offer a full IPE exhaust fitting service at the UK workshops, so if owners want a one stop shop hassle free IPE Purchase Viezu can offer supply and fitting and even before and after dyno testing too. 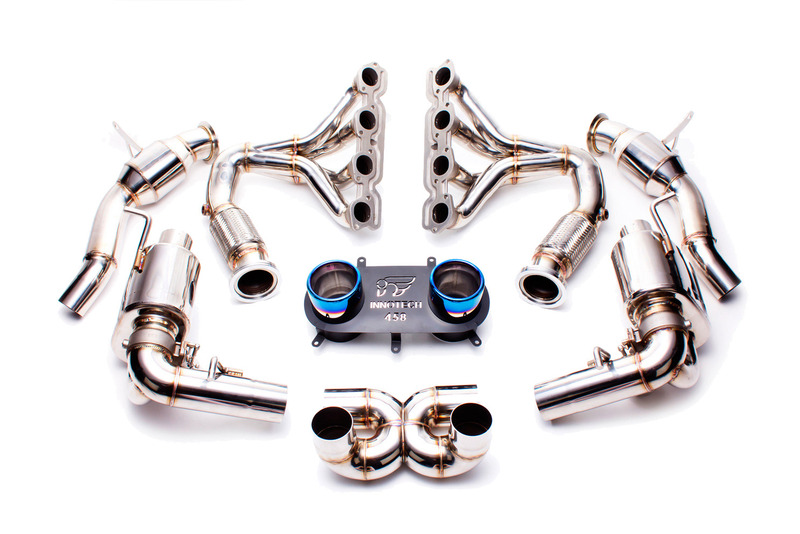 Lamborghini IPE Exhaust Systems, Aventador LP700-4, Gallardo, Huracan LP610-4, LP-560, LP-640 and LP-670. VW IPE Exhaust Systems, Golf MKV, Golf MKVI, Golf MKVII, Golf R MKVI, Golf R MKVII | Passat R36, and Scirocco R.
The Viezu workshop and IPR fitting center is based in the Midlands, just outside Stratford Upon Avon. Here the fully qualified technicians can fit your new Innotech exhaust system while you wait, ECU tuning and remapping can also be combined at the time for some new performance and power to match your new shiny exhaust system.